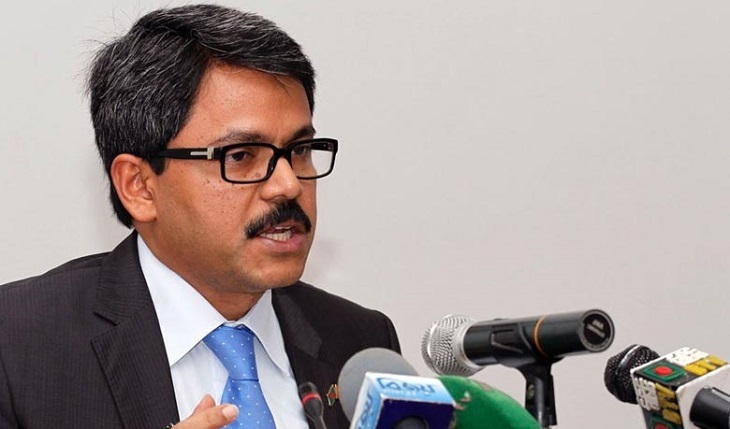 State Minister for Foreign Affairs M Shahriar Alam on Tuesday said the government will continue to take effective steps to address the pending issues, including solution to the Rohingya crisis, reports UNB. "Everything is our priority," he told reporters at his office giving importance to economic diplomacy and other core areas. The State Minister hoped that the repatriation process of Rohingya based on agreed list of verified Rohingyas will soon begin. The State Minister, reappointed for the second consecutive term, said they did not deliberately push the repatriation issue prior to the election as the repatriation could not take place as per agrrement. "Our efforts will be expedited in the coming days, I can say that with confidence," Shahriar said keeping focus on the listed and verified Rohingyas. Bangladesh and Myanmar had agreed to begin the repetition of the first batch of Rohingyas by mid-November, last year. Responding to a question, he said the efforts will continue to bring convicted BNP acting chairman Tarique Rahman back from London since the government believes in the rule of law. "Definitely, it's a priority issue. We want to ensure the rule of law in Bangladesh," he said referring to the government's firm stance with regards to establishing the rule of law. The State Minister said such "elements" who are tarnishing the image of the country abroad through continuous falsehood will be brought to justice.